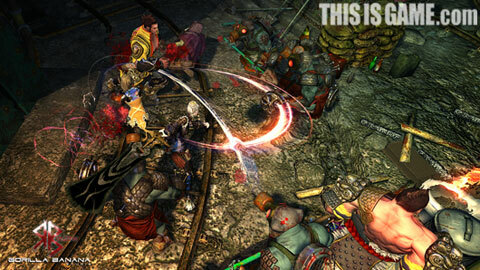 Korean game developer Gorilla Banana has unveiled a new action MMORPG called Red Blood Online. Red Blood Online is a game adapted from the Korean comics of the same name, which has been serialized for 7 years and exported to more than 10 countries. It features randomly generated maps and has Kim Hyung-Taik, the former art designer of the game Magna Carta, as its art director. Looks like Blade and Soul and Tera already have competition…Interesting to see how this develops or if this title even lands on Philippine Shores. 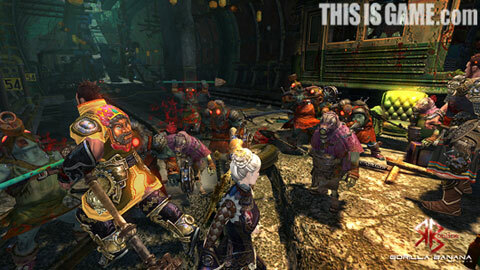 Red Blood Online Story and Trailer after the jump. Red Blood Online is set in a chaotic world in which a new human race has been created through genetic manipulation, and 4 countries are competing against each other with the old mankind’s gradual extinction and the abandonment of the earth. These 4 countries include Victoria, the oldest country which is being endangered by the recession of human civilization; Kulitie, the alliance-based country; Normu, the young and commerce-centered country which has gained independence from Victoria, and the sacred Peiladulia which holds the faith that the old mankind is the servant to the God.